Adria Home is part of the Adria Mobil Group, a leading European manufacturer of caravans, campers and mobile homes with a tradition of over 50 years of production. A wide range of different models combined with two lines and four different levels of equipment to facilitate the choice and an intelligent layout of both the interior and exterior areas. All Adria mobile homes are designed and manufactured in the Adria Home plant in Črnomelj, Slovenia, in the heart of Europe. Adria is working with the best partners to ensure that the design and development of their mobile homes, through companies identified by the same reliability, exude functionality and quality. The Adria products provide an excellent quality / price balance, with some specific and very high-level features. 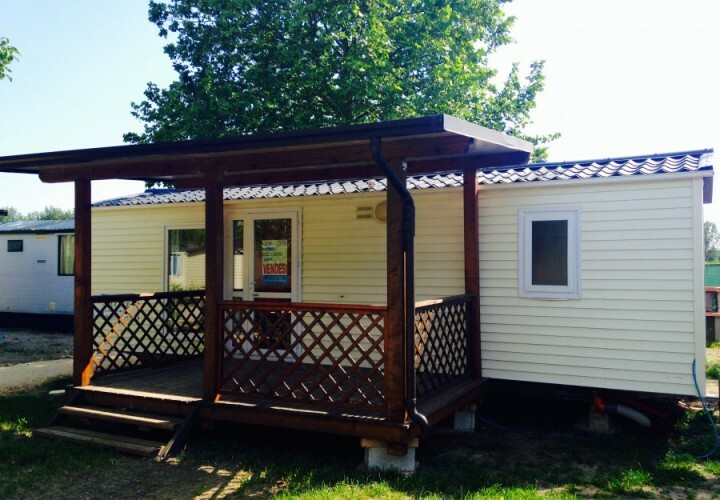 All Adria mobile homes use high quality materials, the most modern techniques and processes of construction which al guarantee added durability, quality and reliability. 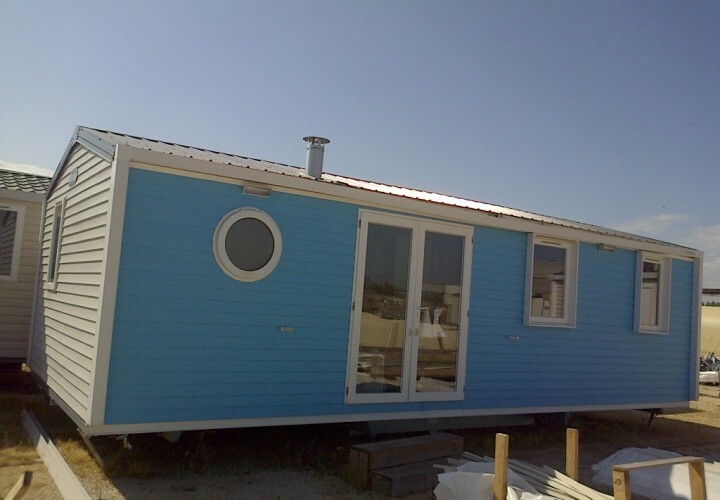 The mobile homes are suitable for all seasons, thanks to optimized insulation and heating and excellent ventilation. Adria mobile homes are manufactured in accordance with European standards EN 1647, EN 1949, EN 721, and the international standard ISO 9001. The independent certification body BV Quality control processes and documents all processes to ensure the highest quality production every year. The chassis uses woven 100% galvanized steel, reinforced and with added support points. The lack of wooden beams takes away the risk from the deterioration of the material and from erosion caused by continuous bending. The floors are made from a single piece of 2mm thick cork linoleum with a reinforced anti-wear layer using water resistant CTB-H panels. The floors are insulated with 50 mm fiberglass and aluminum foil (Premium). Also available as options are additional winter thermal insulation and underfloor heating. 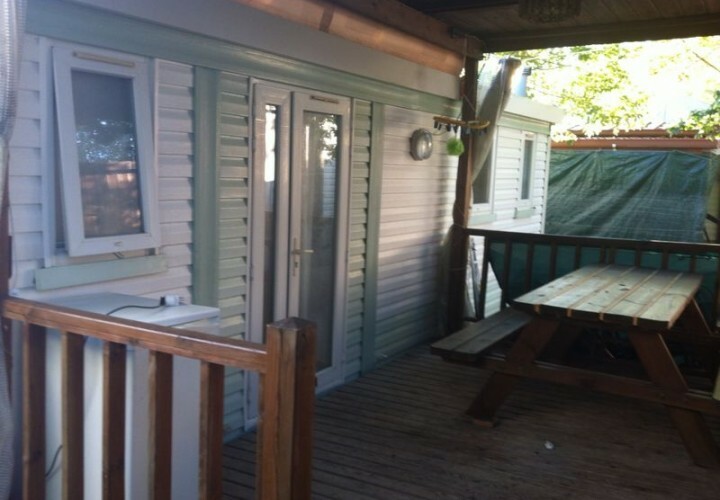 The mobile homes are built with sandwich panels at-bend of 45 mm or 55 mm wide, that offer a high degree of insulation of the walls and provide the necessary stability and durability. In addition, all models are fitted with doors and PVC windows with reinforced glass, built to conformity standards. The ceilings are insulated by a layer of 50 mm or 80 mm anti-steam fiberglass and plastic film with the winter insulation option. The corrosion-resistant galvanized steel roofs are treated prior to assembly and the structure is tested to ensure the ability to withstand the weight of snow with Class B (150kg / m2) as standard on all models and Class D (250kg / m2) available on request. The ventilation system in a traditional mobile home creates a thin layer of air in the space below the sloping roof, while in Adria mobile homes, due to their design, this does not happen because they offer a triple ventilation system where air reaches all areas, from lowest point to the highest of the unit. Adria mobile homes are made of sandwich panels, which ensure the structural strength, their insulation and special seals, as well as easy maintenance. They are the only company to use this system. The AST panels (Adria Sandwich Technology) are unique sandwich panels, 55 mm wide, at-bend with plywood on both sides and with polystyrene insulation (ESP), wooden reinforcements for greater structural strength and integrated electric system. The sandwich panels are made up of layers which have been pressed and glued together, which guarantee that the mobile homes maintain a solid structure (unlike traditional walls). The sandwich panels are glued hermetically, in this way preventing the subsequent penetration of moisture inside the insulation. The internal partition of sandwich panels is made of melamine coated with an anti-dirt resin (AST) or galvanized steel with a layer of transparent paint against dirt (PST), which ensures that the mobile homes a long life and an optimal appearance for many years. These walls are also very easy to clean. The sandwich technology requires a minimal amount of reinforcement in wood, with a significant reduction of thermal bridges and condensation inside the mobile homes. The various coating options include additional insulation inside the walls. Therefore, the air circulates between the sandwich panels, external cladding and steel roofing, thus protecting the structure and the roof from the effects of outside temperature variations. Adria is engaged in the production of eco-friendly mobile homes, it uses environmentally friendly materials and high energy and water saving devices.